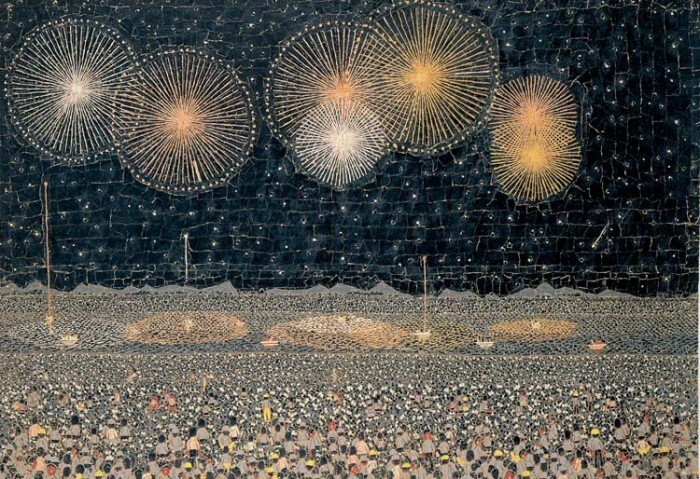 Kiyoshi Yamashita loved fireworks and some of his most notable works center on the subject. A painter often referred to as ‘Van Gogh in Japan’ is being recognized at a special exhibition by the Urasoe Art Museum. 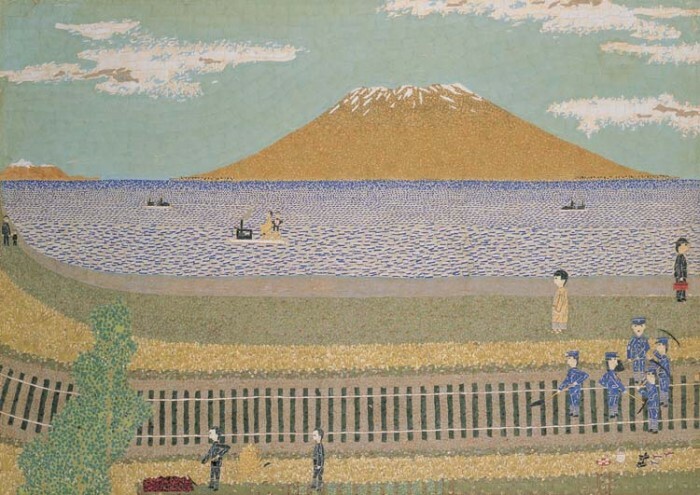 The Kiyoshi Yamashita Exhibition pays homage to the man born in Tokyo during the Taisho Era, and who experienced tumultuous times in both the pre-war and post-war eras. Known for roaming through Japan throughout his life, loving nature, he even had a television drama written about his life. That boosted his popularity even more. The exhibition runs through Nov. 24th, 9:30 a.m. ~ 5 p.m., except Fridays when the museum remains open until 7 p.m. Advance tickets for adults are ¥800, ¥500 for college and high school students, and ¥300 for junior high school and elementary school students. Tickets at the door are ¥1,000 for adults, ¥700 for high school and college students, and ¥400 for elementary and junior high school students. Tickets are available at Ryukyu Shinpo, Ryubo Department Store, Lawson (L code: 88875), Junkudo Book Store in Naha, and Kyuyodo book stores. People loved Yamashita who was know by a nickname, ‘Naked Boss’. Yamashita had an aftereffect of intellectual disability due to a serious disease when three years old, and he had a hard time because of poverty. 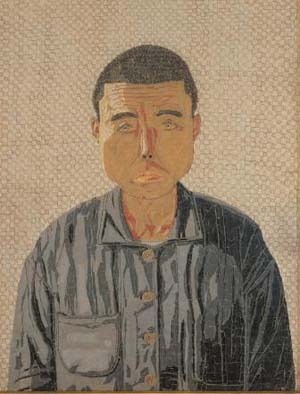 However, ‘Chigirie’, a collage of colored paper he met in a foster care facility made his life enriched. Yamashita expressed nature and views he saw in his roaming trips. He produced many works until he died at age 49. His work is colorful, precise and really sensitive. He tore papers into small pieces and put them in layers, and expressed thin lines with twisting a piece of paper in a unique way. Some of his most notable works depict fireworks, which Yamashita especially loved and left a lot of works on the subject. Other than Chigirie, people can enjoy his oil paintings, pen drawings, watercolor paintings and pottery. Yamashita spent most of his life roaming throughout Japan while creating works on what he saw and experienced.